The most successful team in BBL history have never finished lower than third and have won the title three times. But after 14 games in BBL|08 the Scorchers have won only four games. As a Scorchers fan I have been bathing in glory since the inaugural season, but after what’s happened this season I’m going to try to figure out what went wrong. When Brad Hogg left the Scorchers to go to the Melbourne Renegades for the 2015-16 season he left a big hole in the franchise. Hogg was the player everyone loved and cheered for, mainly because of his tongue poke, his engagement with the fans and his age. My heart sank when I saw his horrific social media post by the Renegades. Luckily, though, after retiring from international Cricket Mitchell Johnson came along for the 2016-17 season. I thought he would be the new crowd favourite due to his explosive bowling and – of course – his moustache. He didn’t quite reach Brad Hogg’s level of favouritism, but he actually brought something quite great to the team. In the 2016-17 season Johnson bowled an astonishing economy rate of 5.91, which was the highest for the side. He had an average of 15.46, which was the third highest in the side, and a strike rate of 15.6 which was the fourth highest. His next season wasn’t as good as BBL|06 efforts, but he still had an economy of 6.35, an average of 36.28 and a strike rate of 34.2. So the bowling attack for the Scorchers at most times in the 2017-18 season was Mitchell Johnson, Jhye Richardson, Hilton Cartwright and a mix between Andrew Tye, Joel Paris and Matthew Kelly. This season the bowling attack has consisted of Nathan Coulter-Nile, Andrew Tye, Usman Qadir and Jhye Richardson for the first few games, but then Matthew Kelly later on. 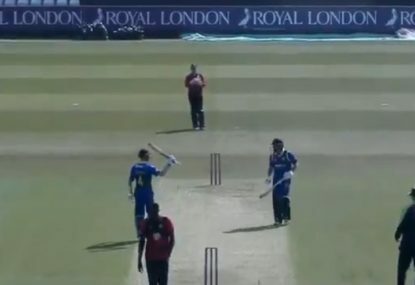 Usman Qadir just hasn’t been up to par this season, bowling at an economy of 8.45, which is way below the numbers left by other leg spinners in the BBL, such as Rashid Khan. He has also taken only six wickets in seven games, causing him to be dropped for the final game against the Strikers. Replace him with a raging fast bowler who has an economy rate of a run a ball and you can imagine what could have happened in the last over losses to the Hurricanes and the Thunder. The situation with Adam Voges as coach needs to be thought over a bit more. First of all, what is the role of a cricket coach? In other sports you have coaches telling players to use the corridor, play as a wing back or go harder at the scrum. Not only are tactics not that complicated in cricket, but most of it is done by the captain. Voges was the team’s captain last season, so I will focus on that rather than on the effectiveness of his coaching. Adam Voges seems like a very calm person. He never panics too much; he just gets on with the job. He also knows West Australian cricket from front to back. 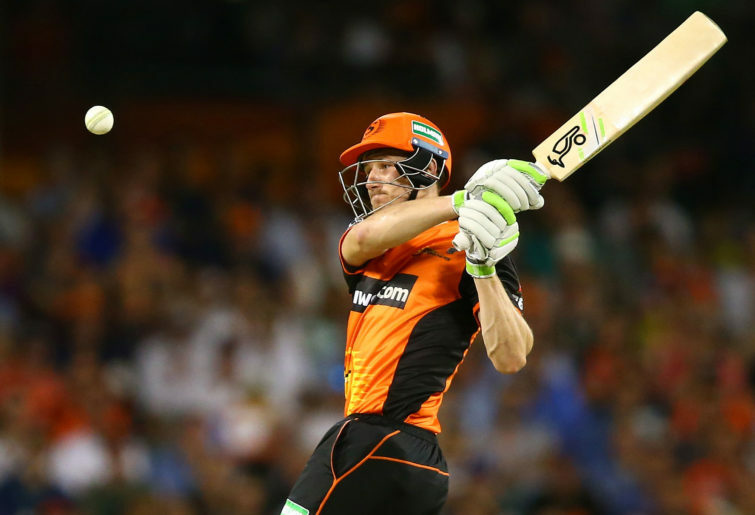 Voges played for the Western Warriors from 2002 to 2017 and for the Scorchers since BBL|02. You can imagine the role he would have had developing those young players and guiding them through considering how many youngsters the Scorchers have given a game or two. This is not the same with Ashton Turner, who captained until Mitch Marsh came into the team. 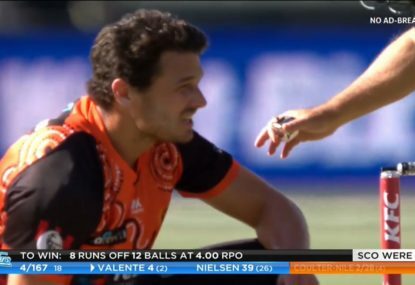 Although he may have better records on the stats sheet in T20, he has been with the Western Warriors and the Scorchers since only 2013 and is only 26 years old. He is before his peak and would have been one of those players needing a bit of help to get to his best. The Scorchers are missing that father figure. Now if we were to have a chat about what is wrong with Optus Stadium, we would be here for about eight hours. But in all seriousness, it just doesn’t fit the Orange Army. The pitch at the WACA was labelled as one of bounciest and quickest in the world. Throw in the Fremantle doctor breeze and you’ve got a pitch suited to fast bowlers. The Optus Stadium pitch is very similar to that at the WACA except for the fact that the Fremantle doctor doesn’t make into the ground because of its size, which makes swing bowling a bit harder to do. 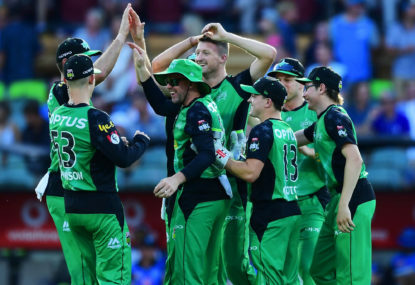 As I’ve said before, the Scorchers are fast-swinging bowlers – think Andrew Tye, Jhye Richardson, Nathan Coulter-Nile, Jason Behrendorff and Joel Paris. Also, it’s not the furnace – the scoreboard, the hill, the other hill and Lord’s Tavern. But although it lacks the atmosphere, it can fit 60,000 people inside, so it will be the home of the Scorchers for years to come. But Perth’s run in the current BBL season isn’t down to these changes. There have been some issues with the players. Captain Mitchell Marsh was the quiet failure of the Scorchers season since coming back from Test duties. Although he scored 50 not out against the Strikers on Saturday, he averaged only 24.4, which was the seventh-highest for the franchise. The bad thing about his batting is that he had a strike rate of only 102.52 while fellow all-rounder Nathan Coulter-Nile was striking at over 164. Marsh bowled only six overs in his seven games but his economy rate was the worst in the squad at an atrocious 10.83 with only one wicket. Mitchell, if you’re going to be captain, please be a stand-out. What I found interesting is that there is one player still contracted to the Scorchers who may be underrated, and that player is James Muirhead. James Muirhead is a 25-year-old right-arm leg breaker who has a bowling average of 17.06. Back in the 2013-14 season, when he was playing for the Melbourne Stars, he had an economy rate of only 6.18. He has also represented Australia in T20s. He has much better stats than Usman Qadir has dished up. 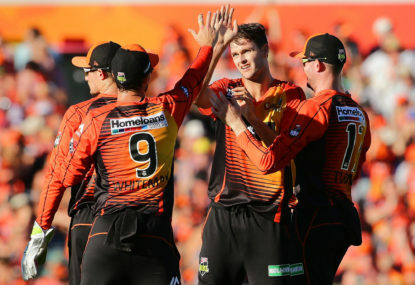 So as long as players don’t go to international selection or go elsewhere, the Scorchers could have a squad looking like this: Cameron Bancroft (wicketkeeper), Shaun Marsh (captain), Mitchell Marsh (wice-captain), Ashton Turner, Ashton Agar, Hilton Cartwright, Nathan-Coulter-Nile, Andrew Tye, Jhye Richardson, Jason Behrendorff and James Muirhead. I would like to see Shaun Marsh as captain as he has a batting average of over 47 for the Scorchers, is 35 years old and has been with the franchise for a while now. Have his brother Mitch as vice-captain and you could have a very strong leadership group. Hopefully, at least for my sake, the Scorchers can do better next season. The Perth Scorchers are undoubtedly the most consistently successful team in the BBL’s short history. Happy new year women’s sports fans!